For most of us, reading for pleasure usually means getting stuck into some fiction or non-fiction. Poetry is a less common diversion, but we still have an appetite for poems to dip into, to find solace in, to memorise and share. And we can choose from an array of collections that promote poetry as an everyday companion, a form of therapy, and a tradition of national interest. For readers looking for peace of mind, The Emergency Poet: An Anti-Stress Poetry Anthology offers comfort, while the popular twin collections of Poems That Make Grown Men (or Women) Cry present a cult of sensibility for the modern age. 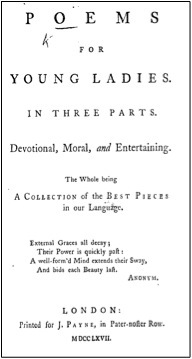 It was in the eighteenth century that poetry collections like these became a staple of literary publishing in Britain. The tradition of printed collections of English poetry stretches back to the sixteenth century, with Songes and Sonettes (1557), an edition of short lyric poems compiled by the publisher Richard Tottel, generally regarded as the foundation of English Renaissance poetry and the most important early printed collection of English verse. But it was not until the eighteenth century that collections of poems by several hands, with prose as a secondary feature, became one of the most common forms in which British readers encountered poetry. Like their modern counterparts, eighteenth-century editors and publishers sought to gain a foothold in a crowded market by targeting specific audiences and promoting the benefits of reading poetry. Some produced didactic collections for young people (Poems for Young Ladies); others pitched their collections to lovers in need of poetic inspiration (The Lover’s Manual); and many more set their sights on a local audience (The Oxford Sausage). Poems for Young Ladies (1767), edited by the poet Oliver Goldsmith. Collections like these shaped the ways in which poetry was written and read throughout the eighteenth century. Yet until recently relatively little was known about their contents. Thanks to the Digital Miscellanies Index (DMI), this is no longer the case. The DMI provides a searchable record of the contents of over 1,600 collections of poems by several hands published over the course of the eighteenth century. These books are sometimes referred to as anthologies, as most poetry collections are today. But the word anthology, derived from the Greek for ‘a gathering of flowers’, has connotations that sit uneasily with many eighteenth-century poetry collections. Few collections produced in this period claimed to present the best of English poetry, a rationale often seen as characteristic of anthologies (collections that cull the flowers of the poetic tradition). As a result, several scholars, myself included, prefer the term miscellany. Derived from the Latin miscellanea, meaning a ‘hotchpotch’ of foodstuffs, it captures the dominant characteristic of most eighteenth-century collections: variety. A typical miscellany offers a varied feast of poems to entertain readers with varied tastes and personalities. The DMI was launched in 2013, following three years of development and data collection carried out by a team based at the University of Oxford. Led by Abigail Williams and Jennifer Batt, the project was funded by the Leverhulme Trust. In 2014, another Leverhulme grant set in motion the second phase of the project. One of the aims of this phase, to be completed in 2017, is to harness the data now accessible via the DMI to shed new light on how miscellanies evolved, how they packaged and popularised poetry, and on the habits of their readers. At the same time, we are working with the Bodleian’s Digital Libraries team to develop the DMI into a more flexible and wide-ranging resource, and last month we celebrated a milestone on this road. The thirty-strong audience at Lines of Connection, a conference I co-organised as part of the project, were among the first to see the DMI’s new search interface, which replaces the beta site created in 2013. 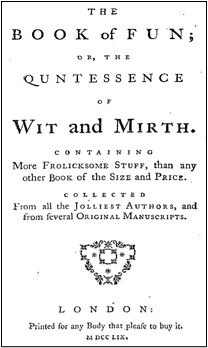 The Book of Fun (1759), a miscellany dominated by seventeenth-century verse. The new search platform is much more than a digital facelift for the DMI. It provides access to a database undergoing expansion: the latest version includes new records for miscellanies published between 1680 and 1699, and future updates will extend the DMI ’s coverage further back to Tottel’s foundational Songes and Sonettes. The redeveloped interface also enables users to explore the data in new ways. Keyword and phrase searching is quicker and more extensive with the new basic search function. There is also the option to filter the records using a number of facets, which display and rank the data in ways that suggest key trends and lines of enquiry. For instance, clicking on ‘Poem’ under ‘Content Type’, then selecting the ‘Related People’ facet, reveals a list of almost one hundred of the most prominent authors in the database, ranked according to the number of poems attributed to them. At the top of the list is John Dryden, with around 1,500 poems; the highest ranked French author is Nicolas Boileau-Despréaux, with over 120 poems in English translation (the DMI does not record appearances of poems in foreign languages). Although these figures should not be seen as straightforward indications of popularity, they remind us that many of the most widely read poets of the eighteenth century were those who had been active in the late seventeenth century. In his imitation of Horace’s epistle to Augustus (written 1737), Alexander Pope observed that the verse of his seventeenth-century predecessors was scattered ‘Like twinkling stars the Miscellanies o’er’. 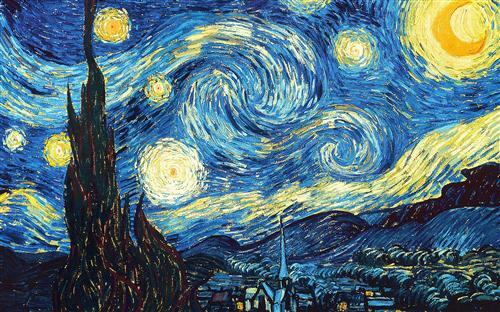 The DMI has made it possible to see these stars, and the sky around them, more clearly. Sometimes the Voltaire Foundation’s infamous ‘yellow folders’ throw up complete mysteries! The job of the researcher thus resembles that of the detective. And just as detectives now use technology, the advances of digital humanities allow researchers to investigate cold cases by previously unavailable means. The editors of this volume – which is entirely devoted to Voltaire’s undated verse – were thus given to believe these four lines should be considered for inclusion in Voltaire’s undated poetry. Yet the incipit does not exist in any bibliographical source. A simple Google search for ‘Pour vous, Papa, j’ai tenté l’impossible’ offers no clues. Search engines are of no use for combinations of the other verse either. Until, that is, one accommodates for the imperfections of Optical Character Recognition (OCR) that Google uses to search un-encoded text. As readers of gothic script know, ‘f’ and ‘s’ are often confused – OCR makes this same confusion. So a revised search term of ‘mes vers font durs’ was entered into Google (other search engines are available!) Result! The verse appeared in the Courier du Bas-Rhin on Wednesday 27 October 1767 (no. 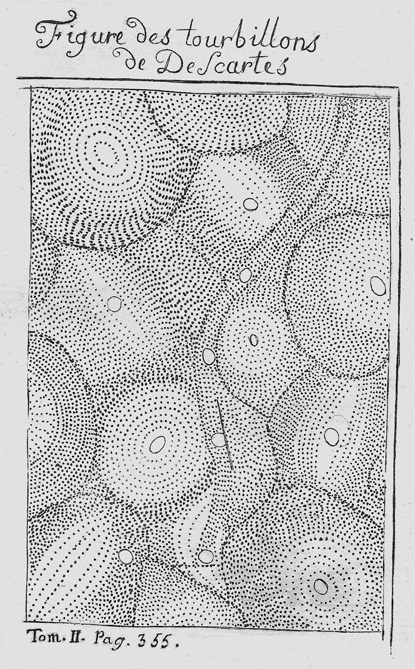 35, p. 278). Here, it is stated that the verse is by M. Dupuis, who ‘présenta ensuite ces vers à M. de Voltaire’ on the evening of the 3rd October 1767, the eve of ‘saint François’, Voltaire’s saint’s day fête (François-Marie). The verse is thus by Dupuis, who is described in the footnotes of the Courier du Bas-Rhin as a former Cornet of Dragoons. This is Pierre-Jacques Dupuits de Maconnex, later Pierre-Jacques-Claude Dupuits de La Chaux (1739[?]-1805[?]). This Dupuis (also Dupuits, Dupuit) married Corneille’s ‘niece’ – Voltaire’s ‘adopted daughter’ – Marie-Françoise Corneille on 9 February 1763. Voltaire refers to Dupuis as his ‘gendre’ (son-in-law) in the Correspondence (D10956). Thus the ‘Papa’ in the poem is Voltaire, and not Voltaire’s own father. The only remaining mystery, then, is how this came to be with a collection of autograph poems of Voltaire. The manuscript has an inscription which reads MA635. An expert at the VF identified this as a Pierpont Morgan shelfmark. The extremely helpful staff at the Pierpont Morgan Library (New York) confirmed that this poem was held in a collection with other autograph poems by Voltaire which were recited that evening (and are now published in OCV, vol.63b, p.591). One can only hypothesise that Voltaire was touched enough by the verse his ‘son-in-law’ had composed for him that he thought it worthy of being recorded for posterity, or indeed a report to the Courrier du Bas-Rhin, or other intermediate journal, such as the Correspondance littéraire, where other poems from the fête of 4 October 1767, but not Pour vous, papa, appeared in the edition of 15 October 1767. And thus the case is closed!